by Stacy Dawn: Don't Look! 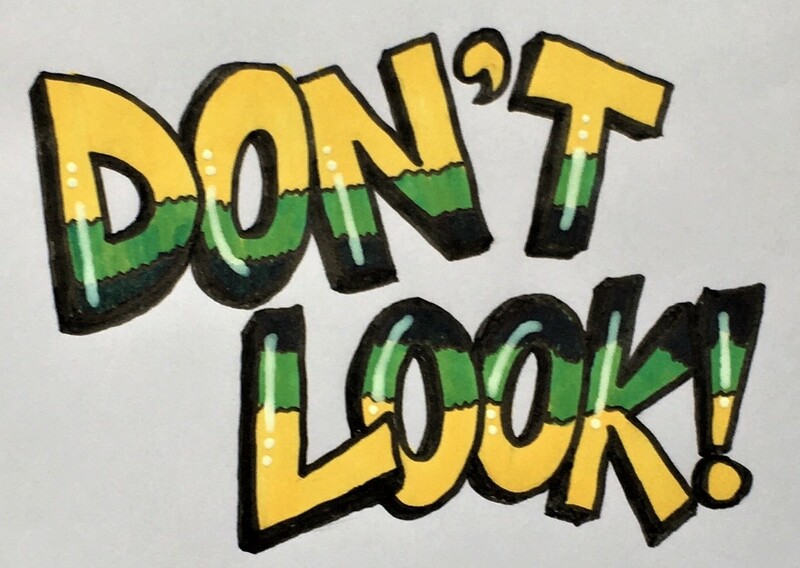 Seriously, PLEASE don't LOOK anymore. Everyone has at least one pet peeve word, and every editor usually has a few. For me, one of my biggest is the word LOOK (and its variations). It's not that the word can't or doesn't need to be used on occasion; the issue is that it doesn't reveal anything at all--no descriptive, no emotion, no tension, no experience. All Telling, no Showing. Why is David looking at Emma? How is he looking at her? Is he happy to see her? Is he wary of her presence? Is he scared of her or sad they have to meet this way? What is she looking at? How is she looking? Why is she looking? Is she excited at what she sees? Does she actually see anything at all or is she just taking a moment to gather her thoughts? Is she wary or tense or scared? Mad, glad, sad? If that many different scenarios can be thought of for one sentence, then you as an author are not painting your scene for the reader. David narrowed his gaze as he studied Emma's tight posture. David released his held breath as he turned to find Emma's glorious smile aimed right at him. She frowned and stared out the window to the storm raging as fiercely as her emotions. She cast her gaze out the window to soak up a moment of peace from the early morning sunshine sparkling across the lake. Word choices--verb choices--are extremely important to ensure a reader not only pictures your scene in vivid detail in their own mind, but to make them experience the moment with the characters. Strong word choice can change a scene dramatically, so don't choose simple words like "look" that Tell the mere basics. Instead, choose your words wisely to Show and engage your reader in the depth of your character in that particular moment. Excellent post and reminder on how to Show verses Tell. Thanks! Hi, Mary! Thanks so much for popping over. Good advice! "Look" is one of my husband's favorite verbs; when we collaborate on a story, I'm constantly changing his "looks" to less generic verbs. Thanks for dropping by Joanne!